Announcement Welcome to MoosetreeStitches, a branch of the Sappymoosetree company! 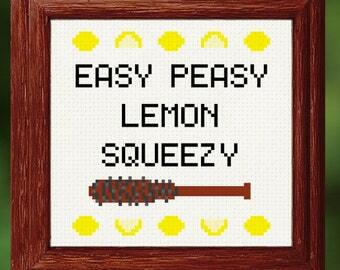 This shop is devoted to popculture, cartoon, and goofy digital art cross stitch patterns! I repeat, DIGITAL downloadable patterns ! OH JOY! Like me on facebook for free patterns and to keep up to date on what is new and upcoming! Welcome to MoosetreeStitches, a branch of the Sappymoosetree company! 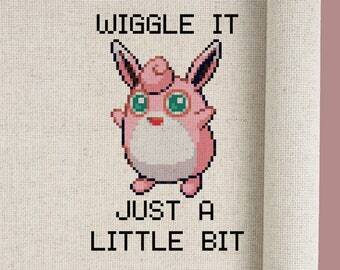 This shop is devoted to popculture, cartoon, and goofy digital art cross stitch patterns! This is such a great pattern. I love how adorable and easy it is. It’s such a fun project. Sappymoosetree started when I taught myself how to sew a sock monkey. Years later I had acquired a lot of monkeys, and since everyone I knew had 1-2 sock smt monkeys already people suggested I start sell them part time at craft fairs! This led to sock owls, zombies, bacon, bags and everything you see in the shop today. MooseTreeStitches is a branch off from my other business, SappyMooseTree focusing exclusively on digital art cross stitch patterns. your file can be downloaded through the etsy website. No physical patterns will be sent.